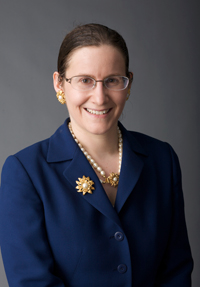 In her forthcoming article, The First Amendment Walks into a Bar: Trademark Registration and Free Speech, Notre Dame Law Review (download from her 43(B)log here), Professor Rebecca Tushnet argues that the CAFC got it wrong in In re Tam [THE SLANTS]. She maintains that Section 2(a) "is generally constitutional as a government determination about what speech it is willing to approve, if not endorse." The Abstract is set out below. This Essay analyzes the First Amendment arguments against §2(a)’s disparagement bar with reference to the consequences of any invalidation on the rest of the trademark statute. Ultimately, given the differences—or lack thereof—between disparagement and other bars in the statute, I conclude that §2(a) is generally constitutional as a government determination about what speech it is willing to approve, if not endorse. If the Supreme Court disagrees, it will face a difficult job distinguishing other aspects of trademark law. And these difficulties signal a greater problem: the Court has lost touch with the reasons that some content-based distinctions might deserve special scrutiny. Often, perfectly sensible and by no means censorious regulations that depend on identifying the semantic content of speech would fall afoul of a real application of heightened scrutiny, to no good end. Rebecca Tushnet needs to be on the CAFC.